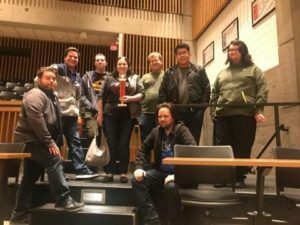 The 2017 – 2018 KCQRL season is well underway, and 2 tournaments were held during this fall semester. On September 23rd, Cumberlands hosted their annual league match playing the NAQT format on a beautiful fall day in Williamsburg, Kentucky. Louisville A took place in Division I with record of 8-1, followed by Louisville B (5-4) and Eastern Kentucky (4-5). Host Cumberlands took 4th place in Division I. Top scorers in Divison I were Clayton Truman (Louisville A), Travis Liebert (Louisville B), Eric Hahnert (Louisville B), Amos Zoeller (Louisville A), and Elaine Leslie (Cumberlands). In Division II, host Cumberlands took the top trophy with a record of 5-1, with EKU (2-4) and JCTC (2-4) finishing 2nd and 3rd respectively. CJ Oliver (Cumberlands) led Division II in scoring, followed by Juan Mancilla (JCTC), Ben Wells (EKU), Jenna Price (EKU) and Luke Taylor (Cumberlands). 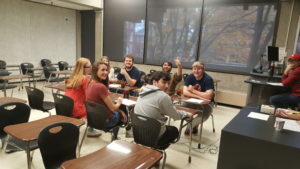 On November 18th, on a stormy, windy Saturday, the University of Louisville hosted a league match with 12 teams participating in the NAQT style format. In Division I, U of L again reigned supreme, finishing a perfect 8-0 on the day. EKU finished 2nd on the day with a 5-3 record, and Transylvania University picked up 3rd place with a 4-4 record. U of L B and Cumberlands also competed in Division I. Top scorers in Division I were Amos Zoeller, Mohammed Hindi, Cody McDowell, Rachel Farmer, and Clayton Truman. 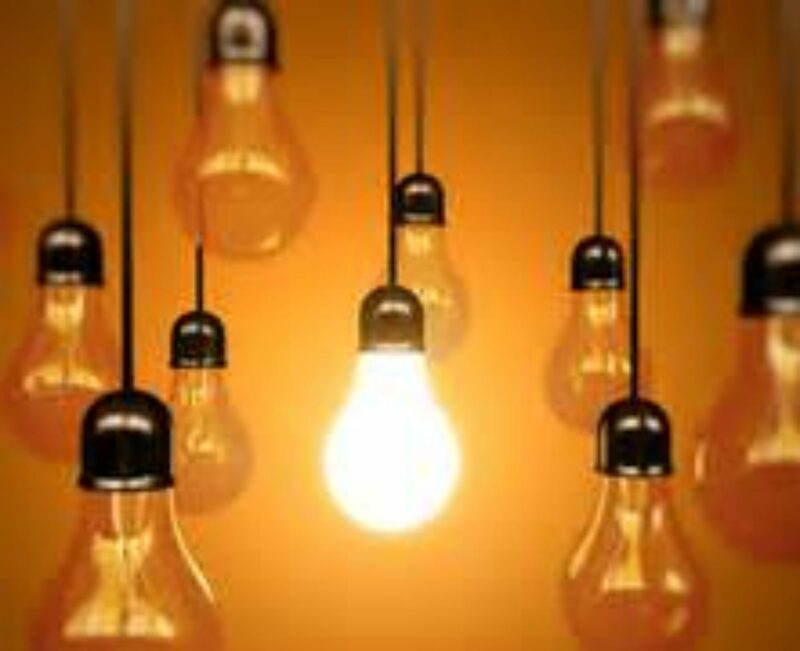 In Division II, JCTC A steamrolled through the competition, finishing a perfect 6-0. Captain Tim Ellis finished first in scoring. Transylvania finished in 2nd place with a 5-1 record, and host Louisville took 3rd place. Also competing were JCTC B & C, EKU, and Cumberlands. Other top scorers were Travis (U of L), Eileen and Evan (Transylvania), and Morgan (Jefferson B). Salsarita’s provided an excellent lunch. The league takes a break over the holidays before resuming at JCTC in Louisville on Saturday, January 13, 2018.